In November of 2016 Living Faith Fellowship was given the opportunity to partner with Prison Fellowship International (PFI). PFI is focused on bringing God’s love to prisoners and their families. 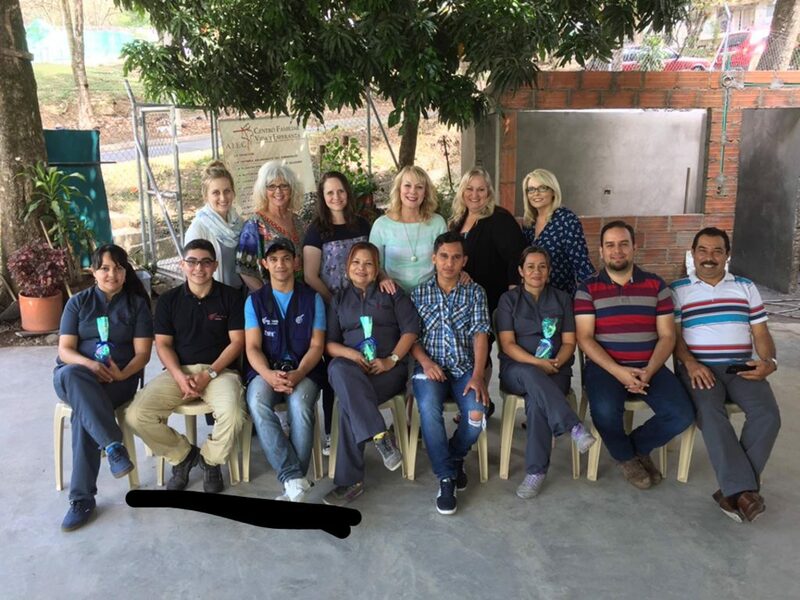 Recently, Pastor Kari, a senior pastor at LFF, had the amazing opportunity to go to Colombia with 5 other pastor wives, all from the fellowship LFF is a part of. Pastor Kari was able to meet with the PFI ground team and the team from the Children of Prisoners Program. During her time in Colombia Pastor Kari got to go to 4 home visits of children who were part of PFI. She heard the amazing testimonies of just how much PFI has changed the lives of the children who are a part of the program, and their families, both physically and spiritually as one mother shared her love for Jesus and His amazing work in her life. Following her visits to families, Pastor Kari also got to visit Bellavista Maximum Security Prison and meet 20 men whose children were in the program and the impact the program has had on them. Pastor Kari got to meet many children who are a part of the program, and one child who was being sponsored by a member of our church. Pastor Kari’s trip to Colombia was a success and she was able to see firsthand how God is moving through Prison Fellowship International. We are all so thankful for our church’s response and the incredible opportunity to see God move through it all. There are still many children waiting to be sponsored. If you are interested please contact our onsite coordinator, Mine Kirikihira, at mkirikihira@gmail.com and she would love to give you more information on how you can change the life of one of God’s little ones.